The OSC course (On-Scene Coordinator) gives the participant the skills needed when functioning as an On-Scene Coordinator. The course concentrates on practical exercises and incorporates visits to Maritime Rescue Coordinator Center, Maritime rescue vessels and the helicopter division. The exercises and content of the course can be customised according to the client’s needs. The course is intended for officers and crews from the merchant fleet. The objective of the course is to provide the trainees with methods and skills to act as the OSC during SAR operations conducted in close co-operation with the MRCC. 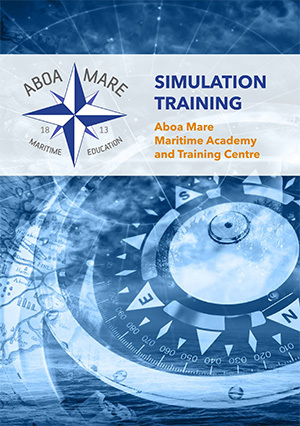 Courses dealing with the coordination of SAR operations (Search and Rescue) take place in the simulator and have been developed as the result of a long-time collaboration between Aboa Mare and the Finnish Coast Guard. De kurser som handlar om koordinering av SAR-operationer äger rum i simulatormiljö och har utvecklats som resultat av ett långvarigt samarbete mellan Aboa Mare och Sjöbevakningen.